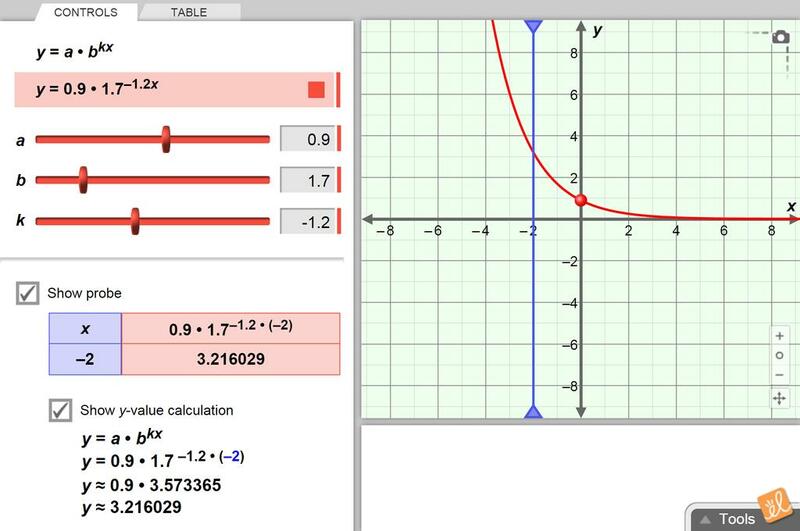 Explore the graph of an exponential function. Vary the coefficient and base of the function and investigate the changes to the graph of the function. My students found it very useful. They liked being able to manipulate the values and see the immediate results. Excellent ! Helps solidify concept.